MOSCOW - Lawmakers have backed a bill that could cut off Russia’s internet traffic from foreign servers, a move that critics call a step toward censorship and possibly an isolated network like in North Korea. The bill passed its first reading by 334 votes to 47 on Tuesday after an unusually heated debate in the lower house, the State Duma, where many lawmakers from minority parties criticized the proposed law as vague and too costly. Authors of the initiative say Russia must ensure the security of its networks after President Donald Trump unveiled a new American cybersecurity strategy last year that said Russia had carried out cyberattacks with impunity. 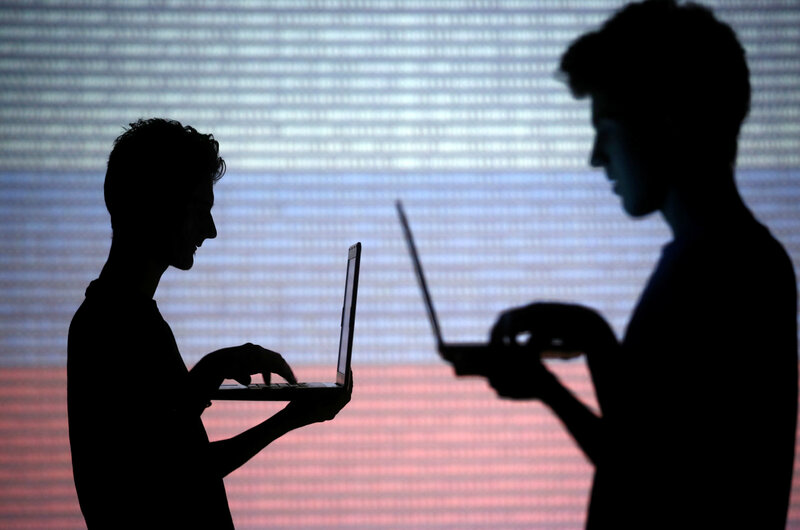 The bill aims to put in place “defense mechanisms to ensure the long-term stable functioning of internet networks in Russia” if the U.S. takes action in cyberspace to threaten them. It proposes creating a center to “ensure and control the routing of internet traffic” and would require internet service providers to install “technical measures to withstand threats.” It also mandates regular “drills” to test whether Russia’s internet can function in an isolated mode. Internet freedom activists say the bill is another censorship bid following previous efforts in Russia to control global social networking platforms and block the messenger service Telegram. Though the bill claims to address external threats, it would just be another law that “permits limiting rights and freedoms on the internet” in Russia, said Artyom Kozlyuk, who heads Roskomsvoboda, a group that campaigns against internet regulation. He believes measures outlined in the bill could cost more than 100 billion rubles ($1.5 billion) per year, from both public and private coffers. “De facto, it will have a serious economic effect. … Everything will be slower and more expensive,” Kozlyuk said. Taking questions on the floor, the authors of the bill were unable to estimate the long-term costs, say what threats it would repel or even explain how it would work. They said expert opinions could be incorporated into the bill for its second reading. The vagueness of the proposal sparked unusual exasperation from some minority-party lawmakers. “How many of you are IT experts here, raise your hand. One? Then how can we vote for a bill we don’t understand?” said Valery Gartung of the left-wing Just Russia party. 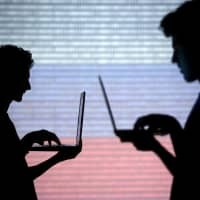 Others predicted it would trigger a dysfunctional “internet Brexit” or wondered how Russia would build the technical infrastructure required to support the legal provisions. “Russia doesn’t manufacture any IT hardware except cables, maybe some people should hang themselves on them,” shouted MP Sergei Ivanov of the nationalist LDPR. One of the bill’s authors dismissed the criticism, citing the scale of the potential threat from Washington. “This isn’t kindergarten!” said Andrei Lugovoi, one of the key suspects in the 2006 murder of Kremlin critic Alexander Litvinenko in Britain. “All of the websites in Syria” have been turned off by the U.S. before, he claimed. He said that the internet’s “root servers” — which act as a sort of backbone structure — are located “in the Pentagon, in NASA, in Amsterdam,” and that Russian authorities have no idea how traffic is routed even within Russia. If passed, the law could make it possible to cut Russia off from the global web or to initiate an internet blackout in an isolated region if it is rocked by unrest or opposition, said Andrei Soldatov, who co-authored a book on the history of internet surveillance in Russia. Another bill, approved in its second of three readings on Tuesday, would ban soldiers from sharing information on the internet. The legislation proposes banning servicemen and reserve troops from posting anything online that would allow outsiders to glean their whereabouts or role in the military. The ban would cover photographs, video, geolocation data or other information. It would also prohibit soldiers from sharing information about other servicemen or the relatives of servicemen. Those who break the ban would be subject to disciplinary measures. The investigative site Bellingcat used social network posts extensively in reports concluding that Russian soldiers were involved in the downing of passenger Flight MH17 over Ukraine in 2014. A Dutch criminal investigation concluded last year that the plane was shot down with a surface-to-air missile belonging to the 53rd brigade of the Russian Army. “Social networks were used in many other investigations about the war in Ukraine and the war in Syria, for instance when fellow servicemen or relatives spoke about deceased soldiers,” said Roman Dobrokhotov, chief editor of investigative site The Insider.